Roasted sweet potatoes are the perfect base for a creamy chipotle mayonnaise: add some tomatoes and onion for crunch, and you’ll have everyone going back for seconds (and thirds). It’s a great potluck dish because it’s just unusual enough to be interesting, without crossing the line into “weird” or “diet food.” And it’s also an easy way to make a healthy starchy dish ahead, so you can easily grab and go when you want it. 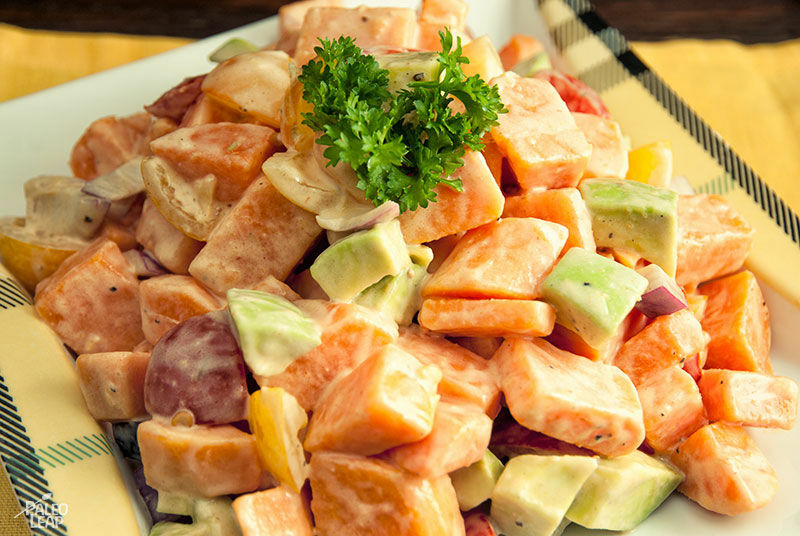 Sweet potato salad goes wonderfully with deviled eggs if you want a cold lunch, but it’s also tasty with any lighter main dish like some basic chicken or pork chops. Add a quick vegetable side, and you’ll be up and ready to go. 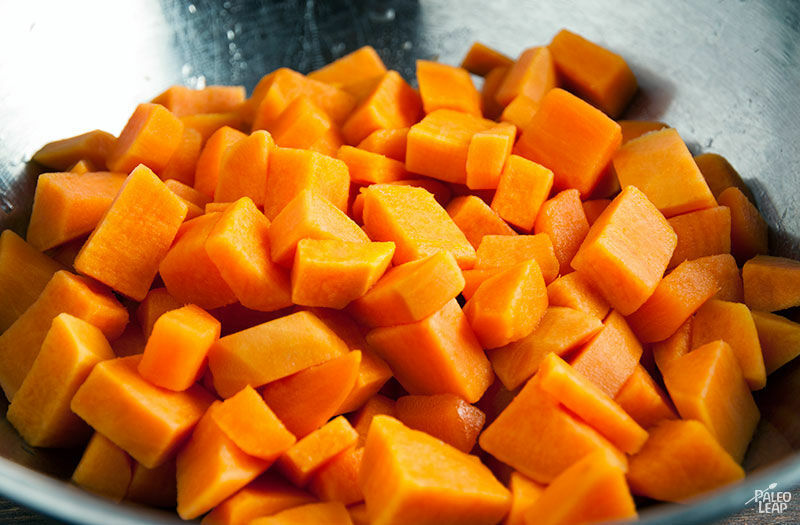 Toss the sweet potatoes with the coconut oil in a bowl. Place the sweet potatoes on a baking pan and roast for about 30 minutes or until they are tender. Once ready, set aside to cool down. Combine the mayonnaise, chipotle sauce, cumin, apple cider vinegar and lime juice in a large bowl and season to taste with salt and pepper. Add all the remaining ingredients and give everything a good stir. Cover and refrigerate for 1 hour to chill or serve immediately.